An IMF working paper finds: “This paper assesses spillovers from fiscal consolidations in 10 euro area countries using an innovative empirical methodology. The analysis lends support to the existence of fiscal spillovers, with fiscal consolidation in one country reducing not only the domestic output but also the output of other member states. Spillover effects are larger for: (i) more closely located and economically integrated countries, and (ii) for fiscal shocks originating from relatively larger countries. 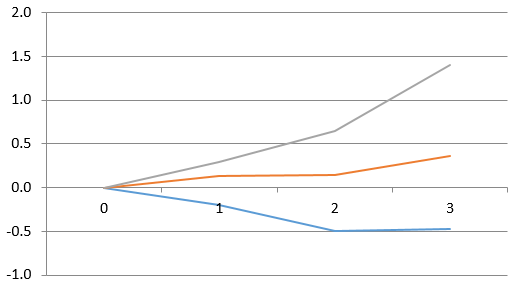 Most of the impact comes from revenue measures, while the impact of expenditure measures is relatively weaker. The latter result is consistent with the distortionary effects of taxation and empirical literature on fiscal multipliers using the narrative approach (Leigh and others 2010; Abiad and others 2011). For previous IMF work on negative demand spillovers in the euro area, see my VoxEU blog and Larry Elliott’s column. An IMF working paper finds: “This paper assesses spillovers from fiscal consolidations in 10 euro area countries using an innovative empirical methodology. The analysis lends support to the existence of fiscal spillovers, with fiscal consolidation in one country reducing not only the domestic output but also the output of other member states. Spillover effects are larger for: (i) more closely located and economically integrated countries, and (ii) for fiscal shocks originating from relatively larger countries. 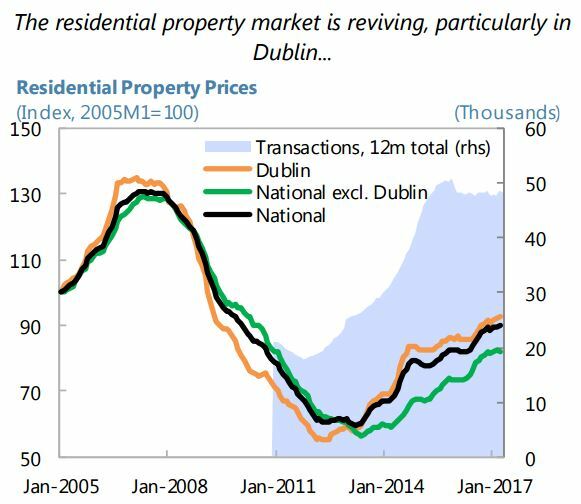 “The property sector has grown rapidly, though there has been some price moderation recently and indicators do not suggest overheating. Prices have risen over the decade, in tandem with Peru’s economic expansion. 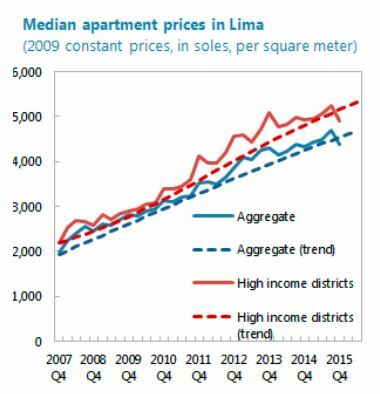 In Q2 2016, the growth in median apartment prices in Lima softened compared to Q2 2015, but remained well above the 5-year average. 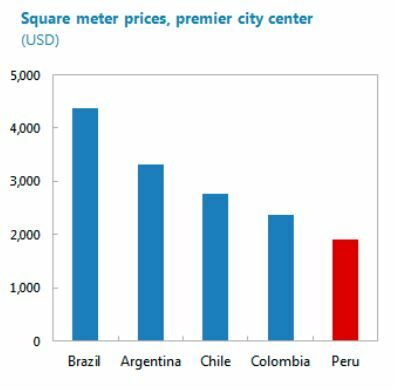 Valuation indicators show that Peru’s property market is on an average footing compared to regional peers (…). The country also faces a housing deficit, particularly in the lower-income segments, and buying patterns do not appear speculative. Furthermore, property price indices in Peru only reflect the capital, Lima, which has a higher population growth and urbanization level than the rest of the country”, according to the IMF’s annual economic report on Peru. 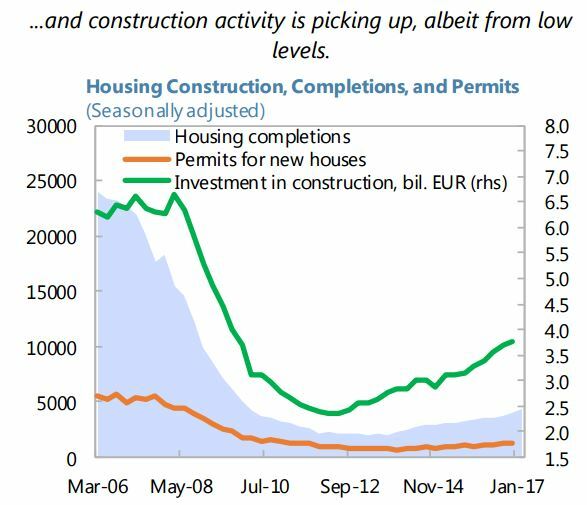 IMF’s new report on Ireland says that: “Strong momentum in the housing market requires close monitoring. Recent policy actions to address homelessness, improve housing affordability and the recalibration of macroprudential measures may have added impetus to the market, which also has seen an increase in price expectations and a surge in mortgage approvals. 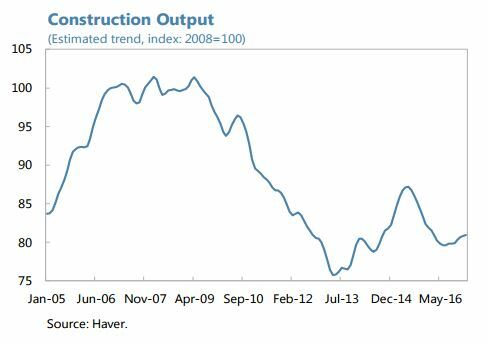 This suggests that strong demand is likely to be sustained in the period ahead, particularly given the positive momentum in the labor market and improved household balance sheets. “Real estate values have also been increasing quickly. House prices have escalated rapidly from a post-crisis trough in 2012, both in Prague and outside the capital region. The increases are in line with those in neighboring countries, and simple metrics—price to income and price to rent ratios—do not yet show current house price levels to be unusually high (Figure 7, charts 1–2). 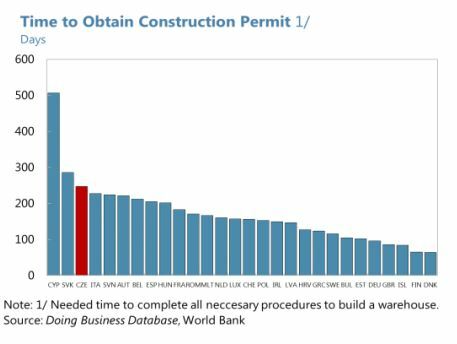 However, data gaps preclude a more conclusive analysis—in particular, an aggregate price index for the commercial real estate market is not publicly available”, says IMF’s new report on Czech Republic.